Visit NRS's Sandal Sock page. 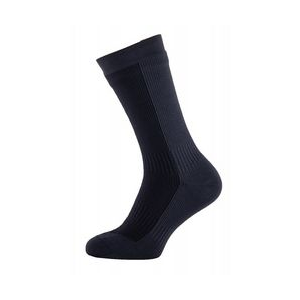 NRS Sandal Socks - Sandal Socks by NRS are a perfect solution for cold feet. 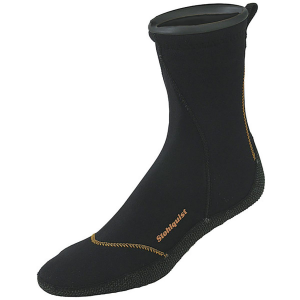 They are made from a 2 mm neoprene with titanium-laminate adhesive that adds maximum warmth with minimal bulk. A HydroCuff opening creates a comfortable seal around your ankles, while the three-panel construction is comfortable and fits well into shoes and sandals. Anatomically shaped left and right feet offer superior fit and unmatched comfort while eliminating the guessing game, and pairing snaps help prevent you from hitting the river with only one sock. Wear NRS Sandal Socks with a pair of sandals or sneakers to add extra warmth without the bulk of a full size wet sock. 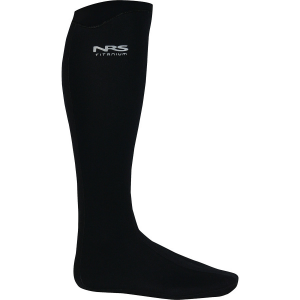 NRS Sandal socks are the perfect solution for cold feet during any watersport. Wear them with a pair of sandals or sneakers to add extra warmth without the bulk of full-size wetsocks. 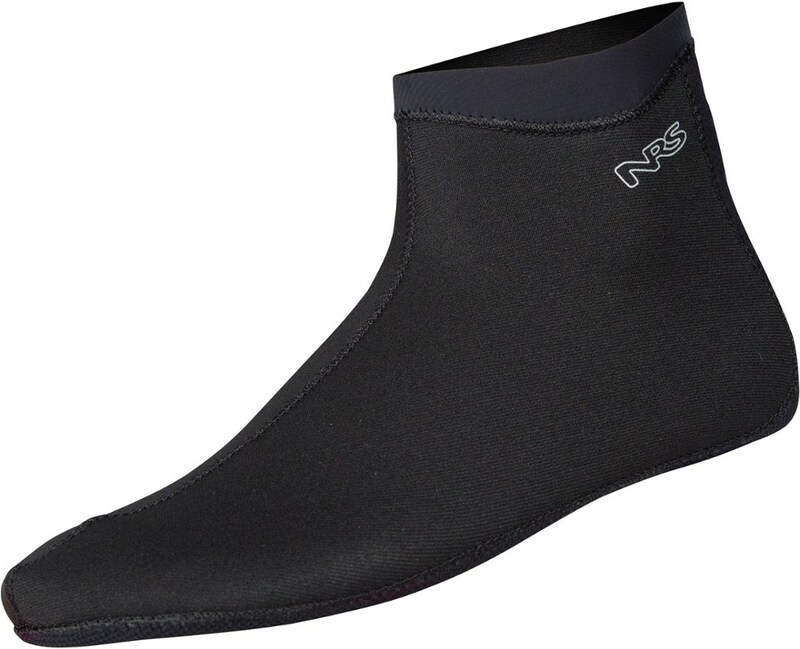 The NRS Sandal Wetsock is a perfect solution for cold feet. 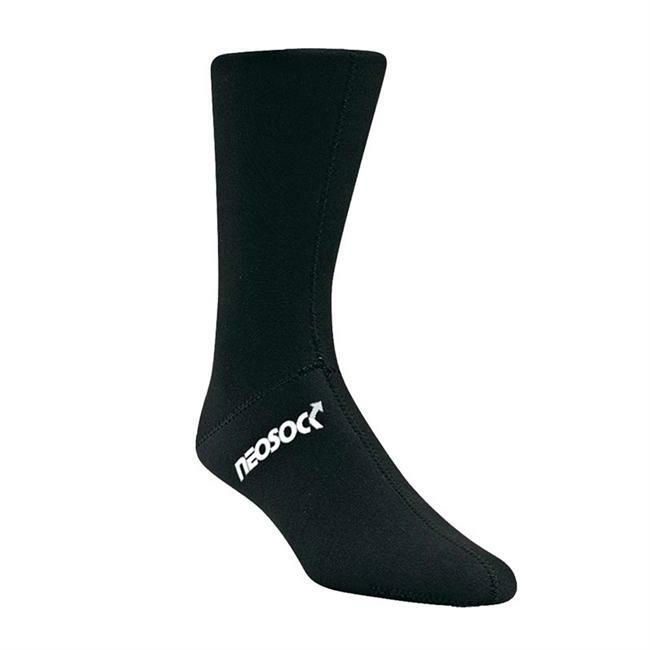 Wear them with a pair of sandals or sneakers to add extra warmth without the bulk of a full size wetsock. 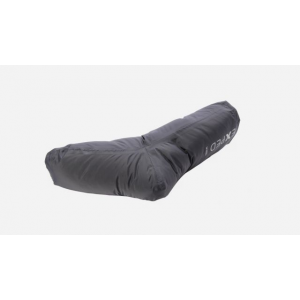 2 mm neoprene with titanium-laminate adhesive adds maximum warmth with minimal bulk. 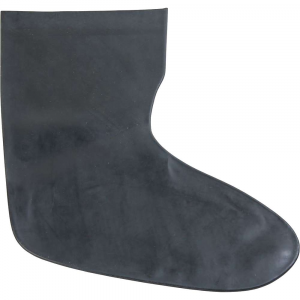 Glued, blind-stitched and fully-taped seams reduce the flow of cold water keeping your toes nice and toasty. The HydroCuff(TM) opening creates a comfortable seal around your ankles. The three-panel construction is comfortable and fits well into shoes and sandals. Anatomically shaped left and right feet offer superior fit and unmatched comfort while eliminating the guessing game Pairing snaps help prevent you from hitting the river with only one sock.